A large tree full of roosting Great Tailed Grackles with some Montesuma Oropendolas, these birds were leaving the tree early in the morning before dawn. The more birds that left the tree the more noisy they became. 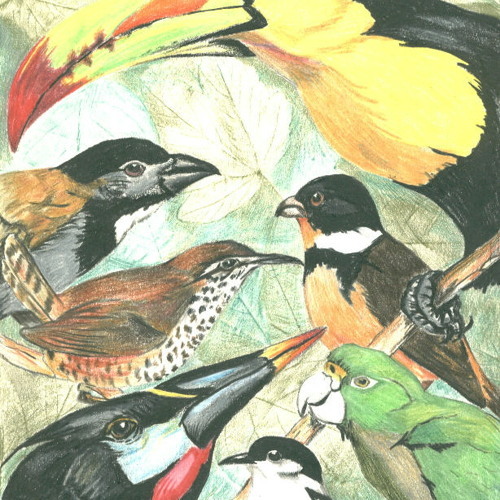 Recorded in the village of Forest Home near Punta Gorda, Belize, Central America. Recorded at around 5.45am on the 10th of December 2002. Superlux microphones and a Sony D7 D.A.T. recorder. This is track 1 from my album 'Forest Home.' See the rest of my Soundcloud page for all the other parts.